All of us fall sports are less than a month away from starting our seasons. AAAAHHH! So exciting! I’m sure you have either had or will have shortly a conversation with your staff about your priorities and what you want to accomplish for the season. I just did this recently by myself and my list ended up being about 25 things that I wanted to work on. After jotting down my initial list, I then met with my staff to review the list and we circled the top five that were most important to us for this season. As I expected, we initially struggled to narrow down everything, and it took some time to make a decision on what our top 5 would be. Sounds like a reasonable answer right? What I said next surprised them. We all have so many things in our coaching life that we want to do and accomplish. Who wouldn’t want to succeed at 25 different things? I learned the hard way that when we chase after 25 things at once with our team, we run the risk becoming a jack-of-all trades, but a master of none. Items 6-25 on your list are probably all very important things, and things that could make your team better. But when it comes to Items 1-5, Items 6-25 are a distraction. In my study of high performers over these last few years, avoiding distractions to focus on what matters has been a HUGE key to their success. What sets apart high achievers is not the number of ambitious things they plan to get done, it’s the ability to avoid distractions in order to focus on accomplishing the things that matter. We’ve all familiar with creating a to-do list to increase our productivity and that is the first list I want you to create. The 2nd type of list that will jump start our productivity is the not-do list – things we shouldn’t do. By being conscious of what to avoid, it’ll automatically channels our energy into things that we want to do. Doing both hand in hand will maximize our performance. Put away your phone, your planner, your to do list apps, and your timers. Instead, take out a sheet of paper and go through this exercise which will help you make your own Not To Do List. Write down your top 25 goals for this upcoming season. Once you have your two lists, focus all your efforts on dominating your top 5 goals and ruthlessly eliminate the 20 less important goals. It couldn’t be simpler than that. 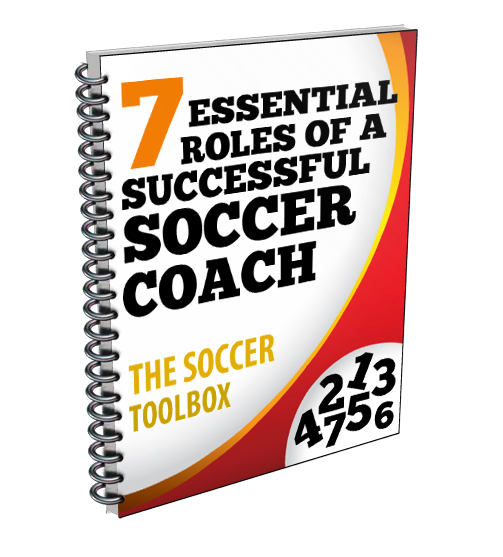 Whether you’re looking to bring about progress into your program or you’re seeking a way to simplify your coaching life. Creating a Not To-Do List will help you focus on the projects that matter. When you get stuck on your not-to-do list, you waste time and end the day frustrated because you didn’t progress on your important top 5 goals. Make your list and post it where you can always see it to remind yourself of what you should not be doing. Enlist the support of co-workers to help keep you on track. If you find yourself doing something on your do-not-do list, get up, walk around, refocus, and then get back after your important to-do list items. Good luck!